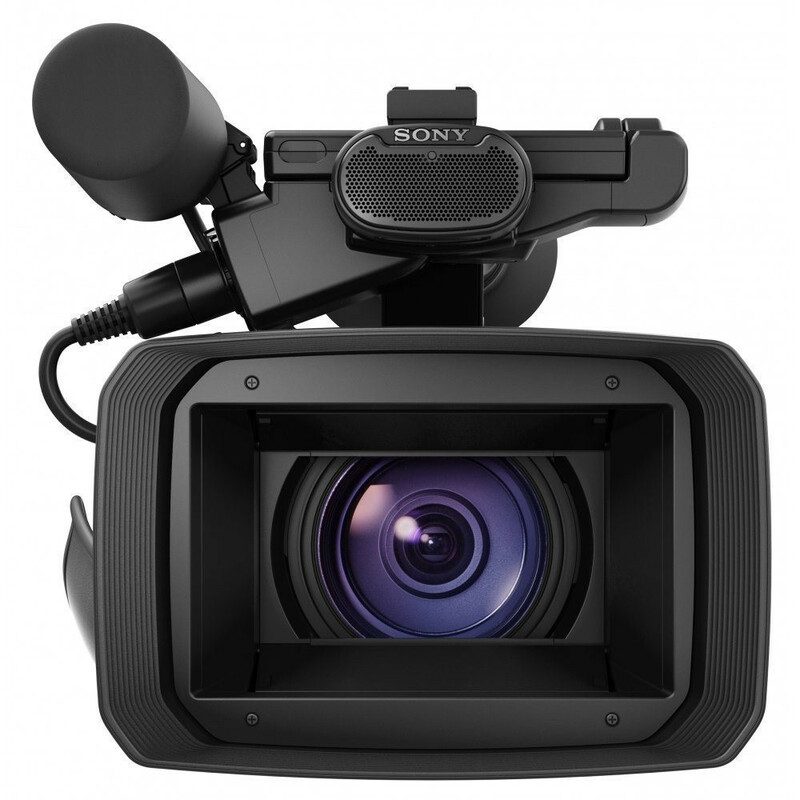 The PXW-Z100, together with the fixed 4K-compatible high-performance G Lens, weighs less than 3kg. 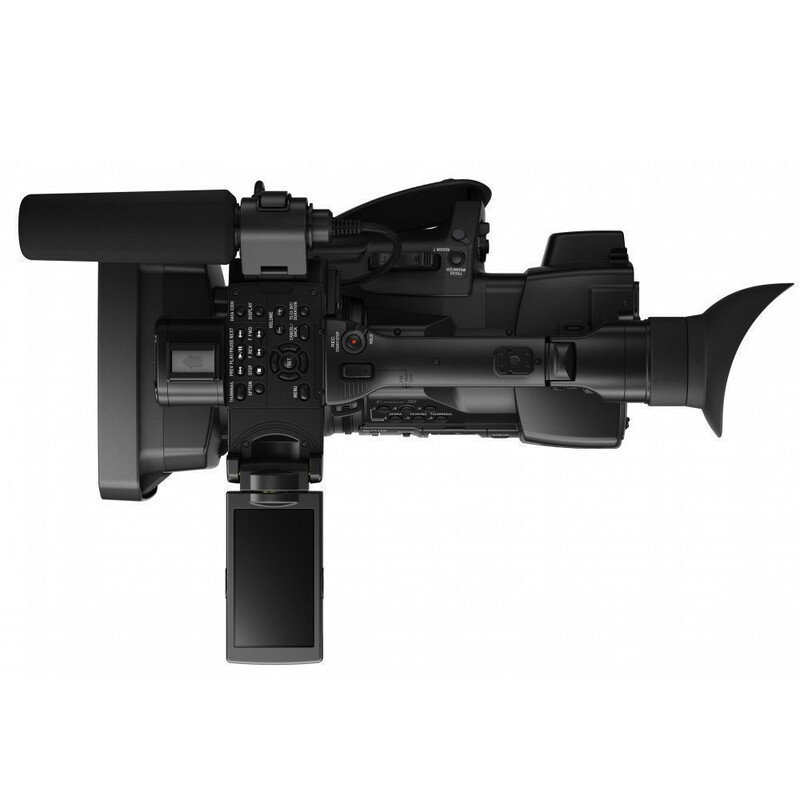 It uses the XAVC recording format first used in the PMW-F55 CineAlta camera. As with the F55, 4K (4096 x 2160, 50fps or 60fps. 4:2:2, Intra-frame,10-bit recording in MXF file format) is possible at a high-bit rate of 500Mbps or 600Mbps. QFHD (3840 x 2160) and HD (1920 x 1080) resolutions can also be selected, both of which are compatible with most 4K TV’s. 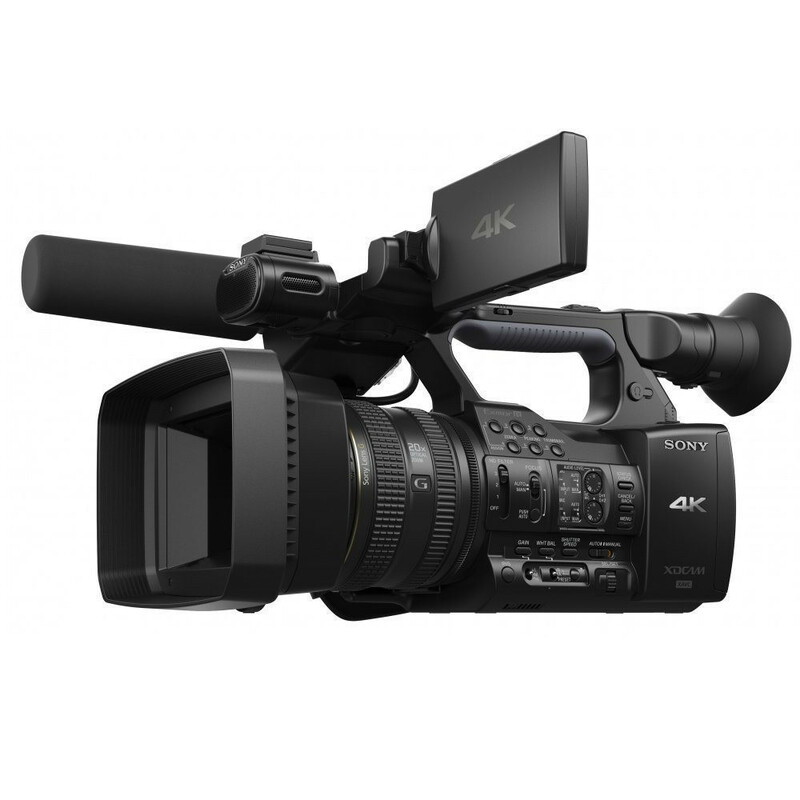 The camcorder provides good sensitivity due to the back-illuminated Exmor™ R CMOS sensor. With 8 million effective pixels, the 1/2.33" sensor captures 4K images at 50fps or 60fps. The inbuilt high-performance G Lens offers maximum shooting flexibility, including a wide angle of 29.5mm (equivalent to 35mm) and 20x powerful optical zoom. 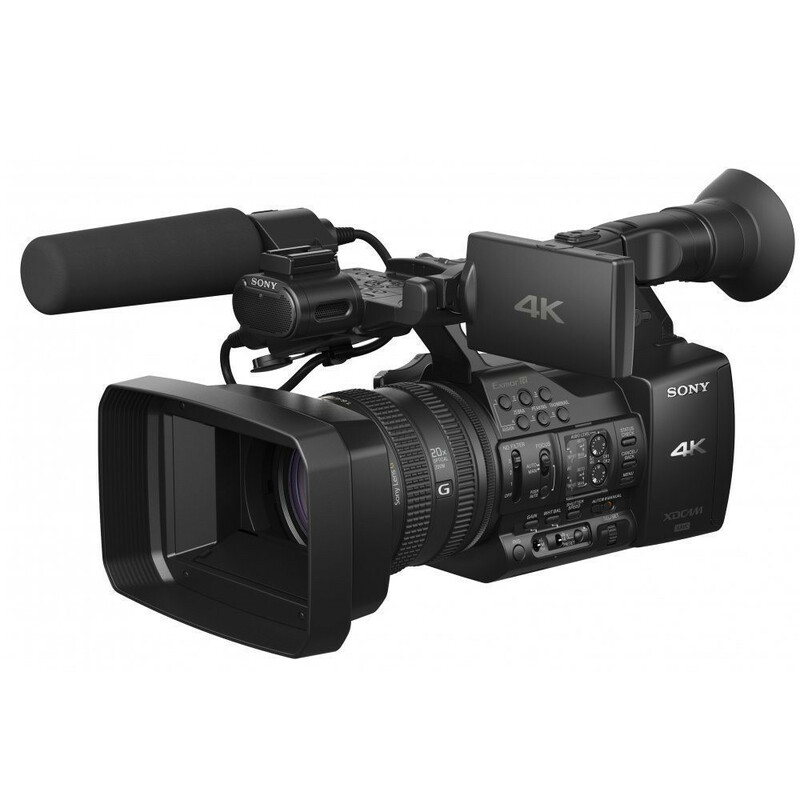 The PXW-Z100 uses the XAVC recording format, featuring efficient MPEG-4 AVC/H.264 compression, for HD (1920x1080), QFHD (3840x2016) and 4K (4096x2160) video. Image sampling is 4:2:2 10-bit, with an intra-frame system that compresses each frame individually at a maximum bit rate of 500Mbps or 600Mbps during 4K 50fps or 60fps recording respectively and 223Mbps during HD 50fps or 60fps recording.The XAVC format is ideal for those looking to implement a high-quality, secure and worry-free workflow. For extended recording, XAVC LongGOP (QFHD 4:2:0 8-bit / Full HD 4:2:2 10-bit) is supported from a firmware upgrade (V3.0). In addition, as a consumer friendly format, AVCHD (Full HD) is supported from a V4.0 firmware upgrade. The XQD Memory Card* is a new standard of solid state memory, which was recently defined by several industry leading companies. 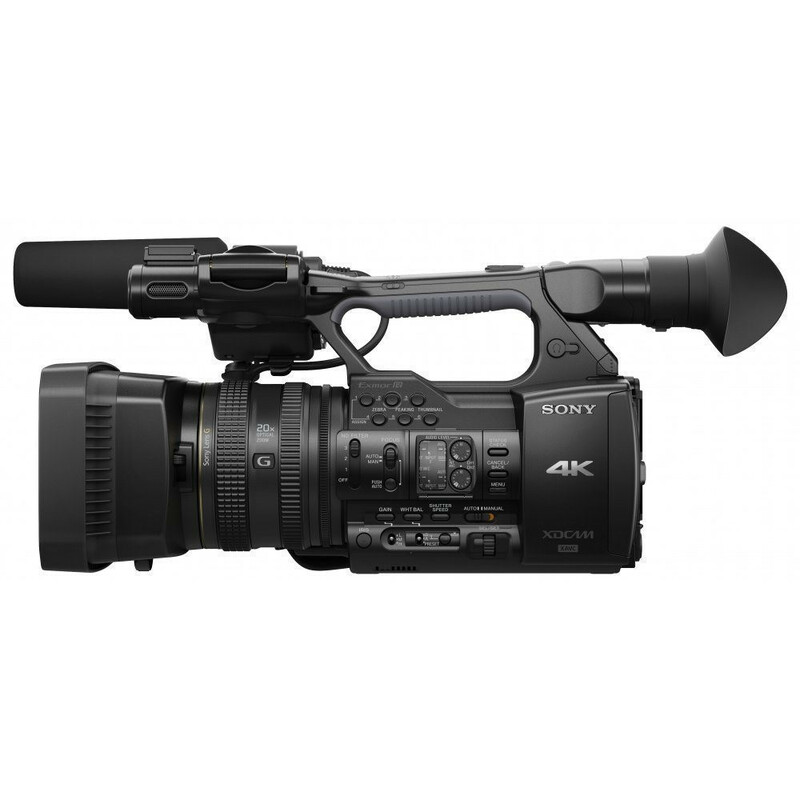 XQD uses the ultra-fast PCI Express interface and Sony’s unique camera processor to enable stable video recording at 500Mbps or 600Mbps. The PXW-Z100 features two XQD Memory Card slots. Multiple cards can be used in various ways, such as for relay recording. When the first card becomes full, recording continues on the second card without a break. * XQD cards have a write speed of up to 800Mbps. The use of S Series cards with 180MB/s writing speed is recommended. QFHD 4:2:0 8bit VBR, 150Mbps max. HD : 4:2:2 10bit VBR, 50Mbps max.